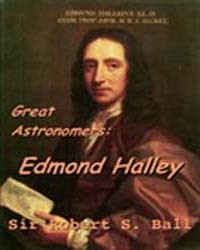 Description: Edmond Halley,(1656–1742) was an English astronomer, geophysicist, mathematician, meteorologist, and physicist who is best known for computing the orbit of the eponymous Halley's Comet. He was the second Astronomer Royal in Britain, following in the footsteps of John Flamsteed. Halley became a close friend of Isaac Newton. He encouraged Newton to publish his discoveries, his Principia, but when the Royal Society had no money to pay for the publication, Halley paid for and accomplished the publishing himself.